90 out of 100. Incorporating 750+ ratings and reviews. When it comes to value for money, it'll be hard to top what the G1Xon is able to do. It doesn't just give you multiple amps (22 models) and effects (105 effects), it also comes with a 30 sec-looper and 68 rhythm accompaniments that will make practice more interesting and effective. Those are a lot of features in a small unit, thankfully Zoom implemented an interface that makes tweaking and configuring easier. All of these features are packed inside a compact unit with a headphone out for quiet playing. While it is more effectively positioned on the floor so you can utilize its expression pedal and two footswitches, it is light and small enough to position on a desk, on your bed, or anywhere that's convenient for you. Dimensions: 9.3" x 2" x 6.1"
Looking at its features, it is easy to conclude that value for money is the Zoom G1Xon's forte, and this is confirmed by the many positive reviews that it continues to gather. But it's not just about being multi-faceted because many are pleased with the sound of its effects. Other commendations point to its ease of use and portability, which when combined together make for a potent utility for playing guitar through headphones. Guitar World concludes their review saying: "Costing less than most single-effect stomp boxes, the G1Xon is an incredible bargain that provides versatile multi-effect processing power and impressive performance and practice capabilities." There are some who caution that the unit's plastic exterior requires a bit of handling care, so don't get too carried away as you step on the pedals. 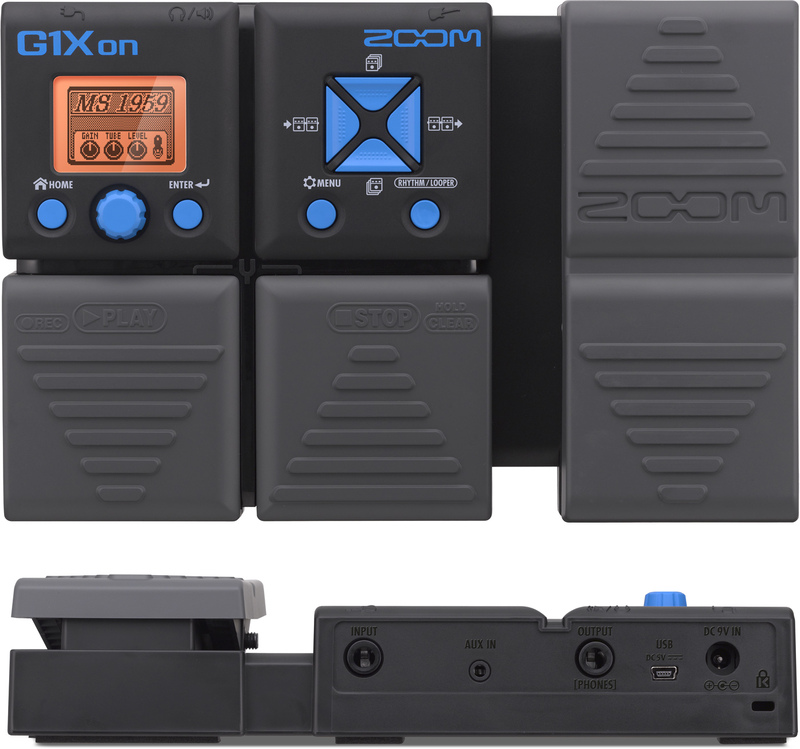 Still, the overall market response is positive, with many guitarists commending the Zoom G1Xon's portability, versatility and value for money - just ensure you treat it with a little care. With its combination of affordability, versatility, portability and practice friendly features, the Zoom G1Xon is an easy recommendation. Unfortunately there are very few places selling the Zoom G1Xon new these days so you might like to look at the alternatives we recommend in our guide to The Best Guitar Multi Effects Pedals / Processors.